If you have a passion for Texas outdoor music festivals and events near you, then you should enjoy these Texas music festival and event reviews. On this page you'll find outdoor music festivals and events in Texas, one of which should be near you, that we have recently attended and the articles that we wrote about the event. Each of our festival and event reviews will give a good overview of what we thought about the event and from the information provided you can decide if this is an event that you want to attend next year. See near the bottom of this page for a link to several other fun festival reviews that were done over the last few years. 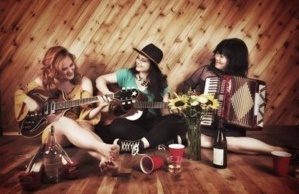 If you know of some fun outdoor music festivals please let us know. Thanks. Glenn Sanders' Texas Music Reunion - Nemo - after 20 years, when Tommy Alverson said he wasn't going to have any more Tommy Alverson Family Gathering Music Festivals, Glenn Sanders said "I'll continue the tradition!" And what great job he did of keep the spirit, vibe, camping, fun, and excellent music going. Two days with Texas county singer songwriters like Davin James, Max Stalling, 1100 Springs, Deryl Dodd, Jamie Richards, Max Stalling, Walt Wilkins, and more - check out our review to learn more. Larry Joe Taylor's 13th Annual Fall Fest Rhymes & Vines Music Festival - Stephenville - this may have been the best of the 11 Rhymes and Vines that we have attended. The line-up was a great mix of the regular guys who play Rhymes & Vines (Deryl Dodd, Tejas Brothers, Mike McClure, Max Stalling, Davin James, and more) plus several refreshing new singer songwriters playing the festival for the first time - for example, Cody Wier, Shinyribs, Shea Abshier & the Nighthowlers, Giovannie & the Hired Guns. In addition to great music what makes the festival fun is camping, BYOB, and some fun, friendly, and lively fans. Waterloo Fest - Austin - this was the first year for what will most likely be an new annual event! 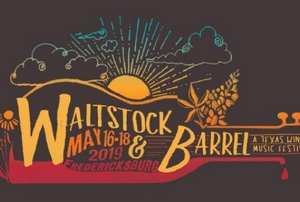 If you like jam bands this is the festival for you with 30 bands playing on two stage over 3 days. 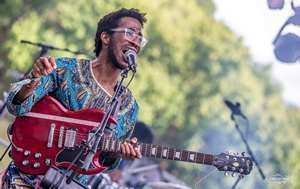 Part of what makes this festival fun is the variety of genres ranging from punk to rock to funk plus blues, soul, R&B, bluegrass and lots more from national and local Austin bands. The event was held on Carson Creek Ranch's 60 acres of country side along the banks of the Colorado River. Plus there is tent and RV camping, some good food vendors, and very fun, lively, and friendly fans. Thomas Michael Riley's 11th Annual Texas Music Festival - Ju ne in Luckenbach - we've been to eight of the last eleven of Thomas Michael Riley's festivals and we've looked them all. What makes this festival fun and enjoyable is a good country music lineup, an older mature and fun loving fan base, camping within 500 yards of the stage, and the festival setting is held in the quaint and unique town of Luckenbach. Kerrville Folk Festival - May in Kerrville - in it's 47th year is the longest running music festival in North America - 18 days and nights and considered a Mecca in the singer-songwriter landscape where over 100 national and international performers not only mingle together on stage but also Â with locals under the stars during legendary camp side jam session. Kerrville Folk Festival is simply a grand, magical experience with camping, bike rides, canoe trips, river swims, art and music workshops, nature walks, yoga, beer and wine seminars, and gospel Sundays. 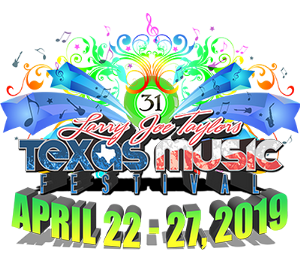 Larry Joe Taylor's Texas Music Festival - April in Stephenville - 2018 was the 30th anniversary of Larry Joe Taylor's Texas Music Festival and it was a great one. Over 45 excellent Texas singer songwriters and bands playing on two different stages plus lots of great music around the campfires in the campground. With over 3000 campsites, both primitive and some with water and electricity, the campground is always alive with music, laughter, games, and the smell of everything from bacon to BBQ. Over 45,000 fans, most of which seem to be from nearby Tarelton State plus UT in Dallas and Austin, and Texas A&M, this festival is lively, friendly, and excellent for people watching! This festival is also BYOB, has a stage with music and Bloody Mary's, lots of vendors selling everything from fried alligator to BBQ, pizza, Gyros, burgers, dogs, and lots more. Old Settler's Music Festival - April in Tilmon - this has got to be our favorite music festival for the following reasons - good camping under the trees and across the street from the stage; the campground is always alive with music and pickin' and singin' circles that welcome you to join them; the line-up is a wide variety of genres (bluegrass, folk, rock, country, Zydeco, Celtic, reggae, and more) and some extremely talented artists from around the US and even Ireland; great staff and good food vendors; an excellent VIP area with free food and beer/wine/soda and a reserved area in front of each stage; and some really fun and friendly fans. Can't beat all of that!! Waltstock & Barrel Music Festival - April in Fredericksburg - this was Walt & Tina Wilken's second Waltstock & Barrel music festival and it was fantastic. The line up included friends met from Walt and Tina's travels around the US and Europe and all of them were excellent and a pleasure to listen too. The venue is a huge tent, folding chairs and a stage with great acoustics. The Festival is small with only 700 tickets sold and all of the fans are true music lovers, friendly, and fun. The stage is in the center of Texas Hill Country Jellystone RV Resort with full hook-up campsites and cabins about 5 miles from downtown Fredericksburg. Thom Shepard and Coley McCabe's Lone Star Luau Music Festival - Marble Falls in February - what a way to start the 2018 music festival season!!! Great setting in a warm pavilion overlooking Lake Marble Falls, dry camping less than 100 yards outside the entrance to the music, a fun and music loving crowd of mostly Parrot Heads (need I say more? ), and a superb line-up. We knew three of the artists (Michael Hearne, Tejas Brothers, and Thom and Coley - all three of which we love) but the other 12 artists were new us - and we thoroughly enjoyed all of them! !